Our team was asked to provide an innovative, technology-infused space with a high-tech feel to serve as incubator space for developing new businesses. 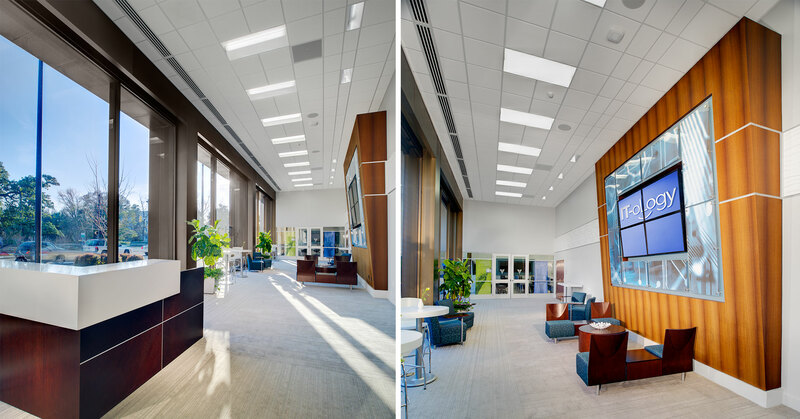 The project involved the renovation of three floors and encompassed over 13,800 square feet. The first floor features a 300 seat auditorium within an existing office tower. The inclusion of flexible training/meeting spaces allows for fully integrated audio/video capabilities. 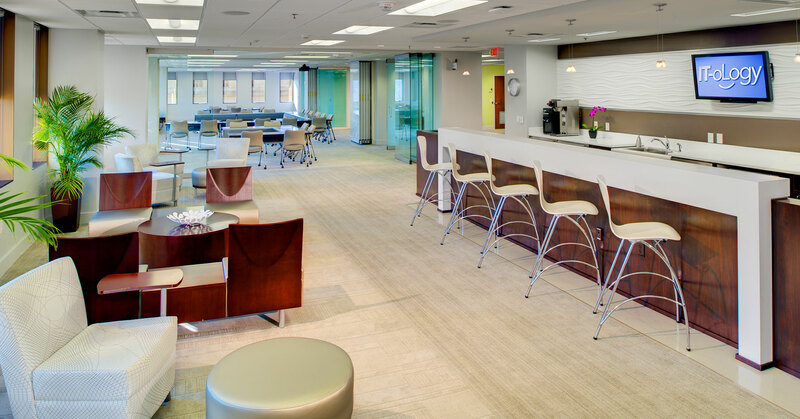 The second floor offers an open floor plan for flexible meeting spaces, training rooms, incubator space and office suites. To support these spaces, the seventh floor was renovated into a data center with a viewing pane to allow visitors to see the inner workings of the technology that powers the 1st and 2nd floors.